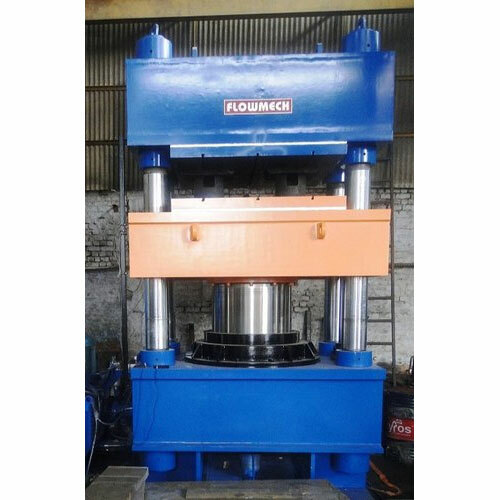 We design and supply an array of solid tyre moulding press, heavy duty four pillars type hydraulic presses are used in a multitude of industries across the globe. 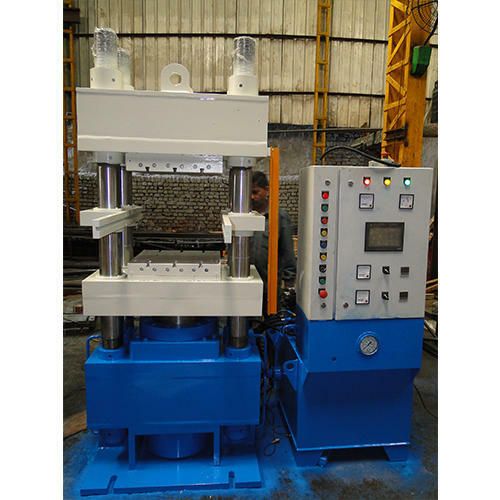 Solid tyre moulding presses features PLC, MMI and a specially designed low noise hydraulic power pads with cartridge valve for smooth change over of valves and PLC and MMI for the automation of hydraulic press cycle. Its four pillar support the moving bolster with gun metal bushes with a system of automatic centralized lubrication. » Solid Tyre Molding Press is available upto 4000 Ton Capacity as per the Customer Requirements. » Solid Tyre Molding Presses are available in Pillar / Gate / H-Frame Type. 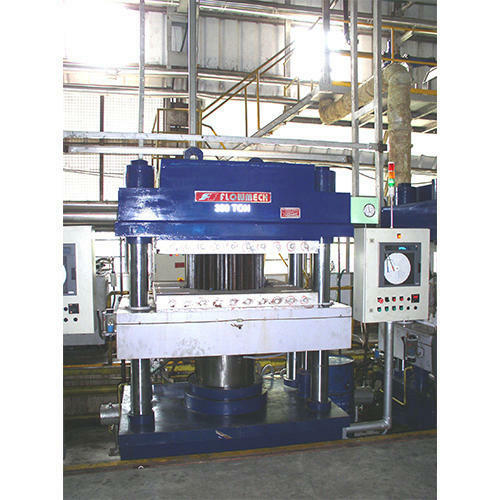 The type of hydraulic press mainly used for molding of high capacity rubber namely is Rubber Moulding Press.